Autore: Catello Masullo - Associazione Idrotecnica Italiana. We live in a planet very rich in water, and thus it is referred to as the blue planet. 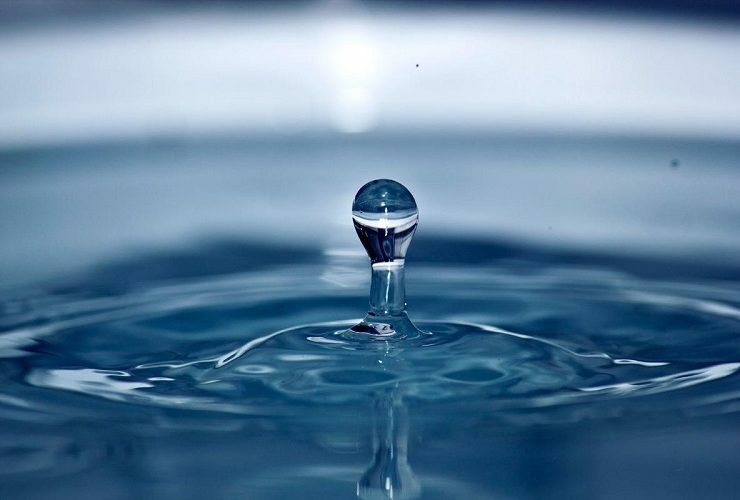 It is estimated that the earth contains approximately 1.4 billion km3 of water. Imagine all of the water of the globe in a five liter bottle, unsalted water corresponds to a single tablespoon, and the unsalted water that can be available for common usage which is not included in the perennial ice of the poles represent less than a single drop. Indeed, the ocean comprise 97.4%, glaciers 2%, and the unsalted water 0.6% of the total water with the atmosphere water representing only 0.001% and the water within viable organisms, representing the 0.0001% of the entire amount of water on the planet. Nevertheless, the water of viable organisms sum up to a total of 1,100 km3. Usable water is in perennial movement. It permeates the soil, it’s absorbed by plants, runs within the deep rocks of the earth in underground rivers, dries up, freezes, evaporates, and falls down again as rain. The amount of water used has duplicated in the last century and the amount for each individual has decreased by 40% in the last thirty years. It is speculated that in 2020, when over eight billion will inhabit the Earth, people without drinkable water will represent over three billion individuals (meanwhile this number is approximately half as of now). The water used for agriculture represents 70% of the total global usage, from which 40% of the global food production is generated from only 17% of the cultivated areas. 2.4 billion people are sustained by agricultural produce of which 260 million ha, three quarters of which are in developing countries (Masullo, 2007-2014). The lack of drinkable water is an actual tragedy. A dramatic number of 30,000 people die each day, caused by drinking insanitary water (Masullo, 2007-2014). A portion of humanity continues to suffer thirst and lack adequate hygienic water, while immense water tanks and great rivers are located in unreachable or uninhabited areas. Therefore, for many humans this poses a problem in that the resources have a diverse distribution and quality, and great quantity, but is not present where necessary and it is not simple to move from one territory to another. Africa has an exceptional water resource that stems from a good part of the planet’s rivers, but a minimal part is reachable by Africans. The 60,000 inhabitants of Greenland enjoy the stratospheric amount of 35,000m3 of water per day, per person, data that is elevated compared to those that live in desert areas, such as the United Arab Emirates, the Gaza Strip of the Palestinian State or the Eritrean where the available volume has dropped to zero. Almost all Canadian water is found in areas where just 10% of the population lives, while in Asia, two-thirds composes the world’s population, an exponential growth, that depends on one third of global water that is almost entirely produced by monsoons, and therefore concentrated in a single season. For example, India receives all of its rainwater in only one hundred days in a year. Out of the ten rivers in the world, South America has the record of having the top three rivers: Amazon, Orinoco and Paraná, with minimal areas that are inhabited or virgin. There are at least four causes that originate from these problems of water scarcity. The first and most significant is the exponential growth of the world population in the last century, and in nonindustrial countries with the dramatic consequence of a reduction in water resource per capita. Pollution from groundwater and surface water found in industrialized countries contributes to the problem. Another major problem is the colossal daily waste of pure water, such as watering golf courses, washing streets, boats to even cooling machinery used by craftsman and factories, especially in areas that cannot afford to use this precious resource and where there is no serious implementation of a water conservation program. Thus, the improper use of our natural resource poses a great risk to areas that are arid and affected by lack of rainwater, such as Egypt, Mexico, Pakistan, Australia, and Central Asia. In these areas, 90% of the water taken is absorbed by the million hectares of crops that are not utilized, more than triple in respect to what is necessary. The quantity of water utilized to produce all the products we use and food is worth 70% of the entire planet, hence, many rivers are at risk of drying up (United Nations World Water Assessment Programme, 2014). “Water resource is exceedingly exploited in many parts of Europe and the situation is getting worse…water resource should be managed with the same efficiency used as in other natural goods used by States”, said the Executive Director of EEA (European Environment Agency), Jacqueline McGlade. Economies, agriculture and industry depend on the serious consequences of water shortage. The reduction of water affects the economy in an indirect way, such as decreasing river flow, diminishing water levels in lakes and aquifers, disappearance of wetlands, a phenomena that can have a devastating effect on natural systems and therefore impend economic productivity. (1) Agriculture in the European Union utilizes 25% of water that should be used for the natural environment, but sometimes reaches 80% in southern Europe alone. Agriculture is the sector where there is the highest possibility of improving water efficiency; based on the quantities of water wasted in irrigation alone. Just by modifying water transportation by using pressurized pipes instead of open channels we would be able to save at least 25% of the water utilized in irrigation. The EEA paper, Water resources across Europe – confronting water scarci ty and drought, has reported that in southern Europe the major problem of insufficient water still exists. Professor Jacqueline McGlade, Executive Director of EEA, has stated that, “we must decrease the demand, minimize the amount of water that we are extracting and increase water efficiency” (EEA, 2011). It is necessary to start-up diverse management policies to increase supply and reduce demand, in which the correct price is based on the volume utilized, especially in agriculture. Better risk management by governments in areas characterized by water scarcity should avoid crops that require great quantities of water; correct methods of irrigation and crop selection for farmers will support the populations needs; eliminating relative problems due to water loss, abolishing illegal water extraction, often for agricultural use; promoting the usage of alternative sources, such as collected rainwater and treated waste water; more efficient distribution, sustainable and equitable usage as well as funding; improvement in planning land usage; programming management plans in high risk areas of drought (mapping of the areas affected by the phenomenon); investments in infrastructures for water supply; promoting technologies that lead to efficient usage. Water used in the production of energy is returned to the water cycle, but this is not the case in agriculture. It’s highly desired that the implementation of tools contribute significantly in improving the wellbeing of humans, insuring the allocation and use of scarce water, thus, generating the most maximum value. In the future demand for water on a global level, demographic dynamic and ever increasing urbanization play an important role. Assessments related to population growth indicate that the global population will increase over 8 billion people in 2030, and reach 9 billion by 2050. Currently, accessible freshwater from rivers, lakes and aquifers are already used at a rate of 54%. As the population grows, it is estimated that by 2025 water extraction required to meet the needs of the population will increase by 50% in developing countries and 18% in developed countries. The demand for water will increase to meet the necessity of sanitation, energy production, industrial development, as well as agriculture. A positive element is represented by UNESCO estimates, according to which the volume of water required for irrigation (+14%) may be inferior to the increase in irrigated areas (+34%), thanks to the use of more efficient irrigation techniques. The complexity and vastness of the subject of water, along with the interdisciplinary, make it difficult to briefly state the information, capable of representing the entire scope of issues addressed by and specific situations, compared to individual countries, territories and regions; depending on the availability of goods, skills, resources and regulations. Promotion and development of technological innovation remain the prerequisites to preserve a precious resource, like water. EEA/European Environment Agency (2011), Publications Office of the European Union. FAO/Food and Agricultural Organization (2014a), AQUASTAT database. Masullo C. (2007-2014), L’acqua – Oro Blu: il Petrolio del Terzo Millennio come cause di conflitti Internazionali, Lezioni del Corso di Gestione dei Servizi idrici – Università degli Studi Roma Tre. UNDESA/United Nations Department of Economic and Social Affairs, World Urbanization Prospects. UNESCO/United Nations Educational, Scientific and Cultural Organization (2009), Water in a Changing World, 3rd UN World Water Development Report. UNESCO/United Nations Educational, Scientific and Cultural Organization (2014), World Water Assessment Program. United Nations world water assessment programme (2014), World Water Development Report, 2014 – Water and Energy. UNICEF/United Nations Children’s Fund – WHO/World Health Organization (2014), Unicef Joint Monitoring Programme for Water Supply and Sanitation. WBCSD/World Business Council for Sustainable Development (2006), Business in the world of water, WBCSD Water Scenarios to 2025. WBCSD/World Business Council for Sustainable Development (2009), Facts and Trends – Water. World water council – Conseil mondial de l’eau (2013), Annual Report.